The RACO Compact series electric linear actuator has almost the same performance data as the MA series actuator, however the actuator has the smallest stroke to overall length relationship, short overall dimensions and a very compact and economical design. 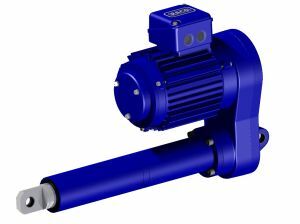 It is engineered for lighter duty applications, compared to the extreme heavy duty RACO MA actuator. 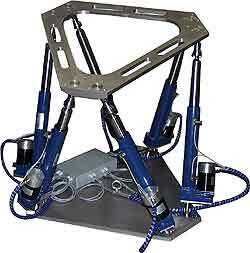 It has a flexible modular design, which allows you to customize the actuators to the application requirements. The Compact Actuator family is available with a wide variety of drives such as the standard RACO motor, AC or DC gear motors and high performance Servo motors. Depending upon your application requirements, we can offer either the reliable RACO self-locking ACME Screw or the quality RACO Ball Screw for high performance, accuracy and positioning applications. This application is driven by six Compact K6E4 ball screw actuators. Each actuator is equipped with a stepper motor, brake and control unit.